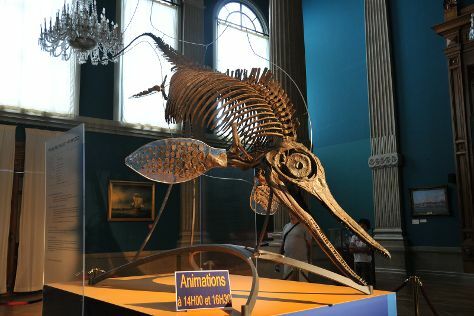 On the 20th (Thu), see the interesting displays at Oceanographic Museum of Monaco, make a trip to Casino Square, and then try your luck at Casino of Monte-Carlo. To find ratings, photos, where to stay, and other tourist information, read Monte-Carlo itinerary builder tool . Jacksonville, USA to Monte-Carlo is an approximately 19.5-hour combination of car, flight, and train. You can also do a combination of train, shuttle, and flight; or do a combination of bus, flight, and train. You'll lose 6 hours traveling from Jacksonville to Monte-Carlo due to the time zone difference. Traveling from Jacksonville in June, expect Monte-Carlo to be slightly colder, temps between 76°F and 66°F. Wrap up your sightseeing on the 20th (Thu) early enough to take a train to Nice. On the 21st (Fri), get up close and personal with brilliant marine life at Marineland. On the 22nd (Sat), you'll have a packed day of sightseeing: contemplate the long history of Place Garibaldi, then wander the streets of Vieille Ville, then get great views at Colline du Chateau overlook, and finally don't miss a visit to Place Massena. Nice is just a stone's throw from Monte-Carlo. In June in Nice, expect temperatures between 76°F during the day and 66°F at night. On the 23rd (Sun), wrap the sightseeing up by early afternoon so you can travel back home.